Our winter series of sea kayaking adventure talks resumes with a paddle in warmer climates. Advance booking is essential. Tickets £8. 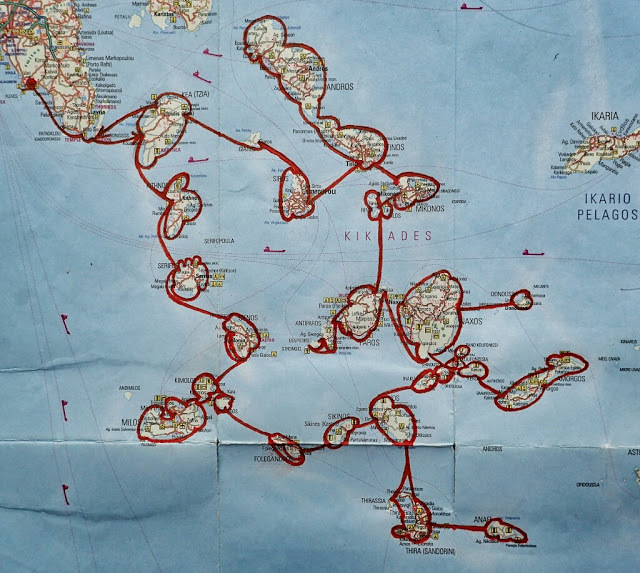 Tatiana Cappucci’s route around the Cyclades islands. 144 days Total. 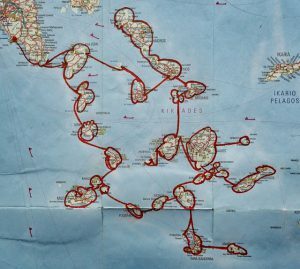 32 islands visited. 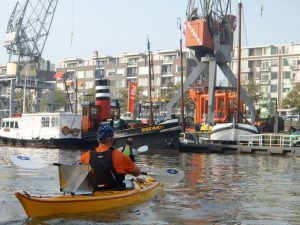 2207 km kayaked. 45 crossings between the islands. Longest crossing: 37 km. 55 taverns visited – some between 2 – 7 times….! 3 boxes of “precious finds” sent home by mail. 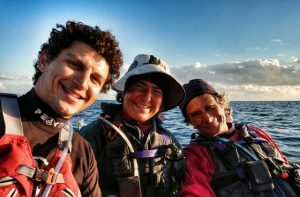 Read more the Cyclades Sea Kayak Expedition in Tatiana’s blog. 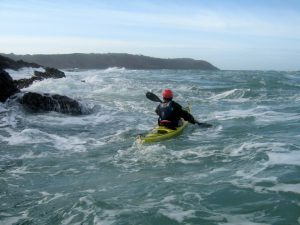 Additional sea kayak leader training courses can often be added. Contact us. Develop your towing and safety skills on our 4-star sea kayak courses. The sea kayak leader (4-star) award is designed for sea kayakers who may find themselves leading/guiding groups of 4-5 paddlers on 6-8 mile journeys in moderate tidal waters (winds not exceeding force 4 and sea state 4). This award is an excellent benchmark of your leadership and sea kayaking skills. 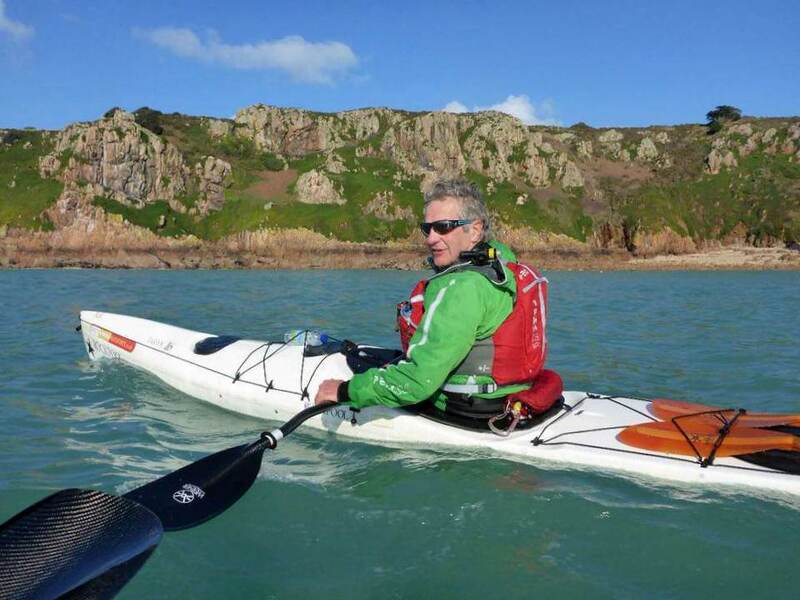 Increasingly, the sea kayak leader certificate is used as a standard for club leaders and centre staff to ensure they have a good level of paddle and safety skills to lead groups on the sea. 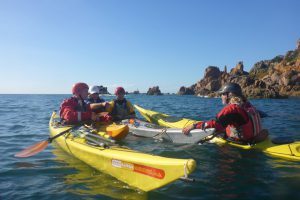 Even if you have no plans to lead/guide groups, our training course is a great way to develop your paddle skills in the superb moderate waters around Jersey. We’ll explore the amazing coastline of Jersey with its caves, cliffs, rock gardens and surf beaches during the training course. 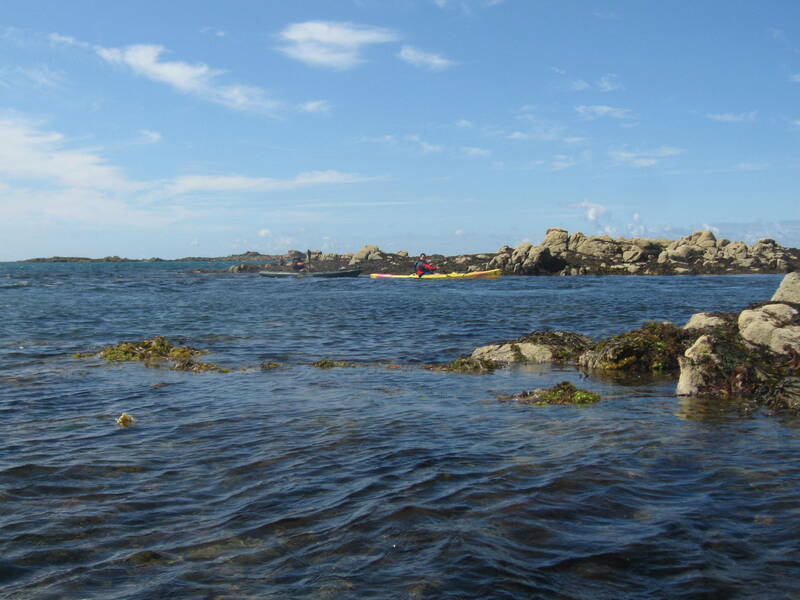 With a tide range of almost 12m the coastline is never the same and there is a huge range of sea kayaking experiences to be had. 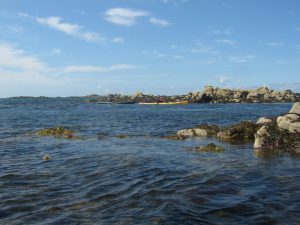 All the time you’ll be guided by our expert British Canoeing qualified coaches who are all local residents and have many years sea kayaking experience. Our 2-day course covers the essential training elements of the Sea Kayak Leader (4-star) syllabus in some great tidal waters around Jersey. Many paddlers add a couple of extra days to log more leadership hours and experience of sea kayaking in a new area. 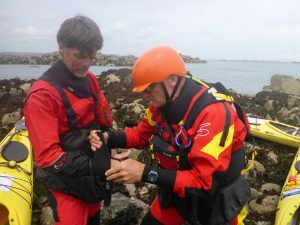 You can also add extra days to complete the BC 3-star sea kayak and Coastal Navigation and Tidal Planning modules which are pre requisites for the 4-star sea kayak leader assessment. 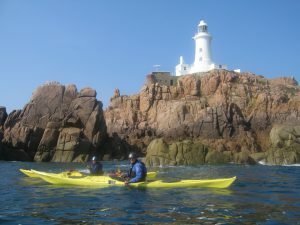 An advantage of completing your 4-star sea kayak training course in Jersey is that there is a huge range of different paddling opportunities to experience all within 20 minutes travel time. We are used to working with European and international clients and are happy to help ensure you have the correct pre-requisites in place for your 4-star sea kayak leader training and assessment. 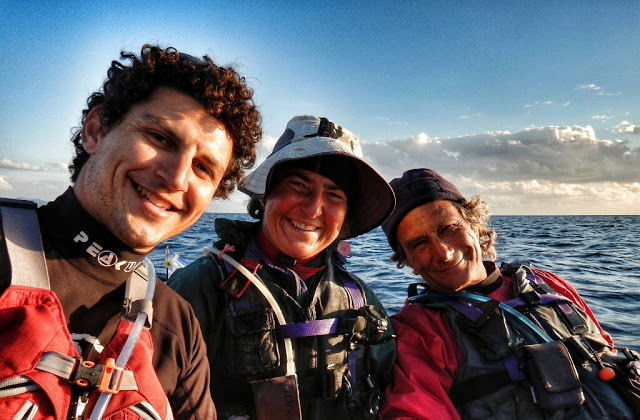 Our French and German speaking staff and can assist with the translation of your certificates into English and give you advice on the completion of your Leadership Registration (LR) form which essential for anyone planning to complete the 4-star sea kayak assessment. Fly from Gatwick and UK regional airports (Easyjet, BA, Flybe operate regular services all year). There are also good connections from European airports via Gatwick and direct flights from Germany, Netherlands and Switzerland in summer. Regular high-speed ferry services operate from Poole, Portsmouth and St Malo (France) for those who prefer to use their own kayak. Make the most of your time on Jersey by using our kayaks at no extra charge. Save yourself a long drive and fly to jersey. Many paddlers find that they can be on the water within a couple hours of leaving home so you can maximise your 4 star sea kayaking experience. Choose from our range of sea kayaks which includes Valley Nordkapps, Avocets, Aquanaut, P&H Delphin, Hammer, Rockpool Taran, Tiderace pace 17, Venture Kayaks Esky 15, Epic V5 and V7. All students will receive a Paddlers Performance Action Plan. Additional sea kayak leader training course dates can often be added. Contact us for more dates.